Using the Get-Service cmdlet you can get a list of all the services installed on the operating system, its status and startup type. This one and other cmdlets to get the status and management of Windows services first time appeared in Powershell 1.0. In this article we will demonstrate typical examples of using Get-Service to get the status of a service on local or remote machines, the type of services startup, we’ll cover how to determine the dependencies of services. You can get a list of services on a local or remote machine by using the Get-Service cmdlet. 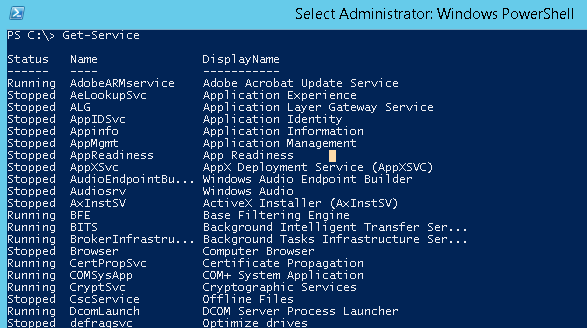 Get-Service command without parameters returns a list of all services on the local system. This command will list all local Windows services, their status (running or stopped) and display name. The pipeline operator (|) passes the results to the Where-Object cmdlet, which selects only those services for which the Status parameter is set to “Running”. If you want to display only the stopped services, specify Stopped. 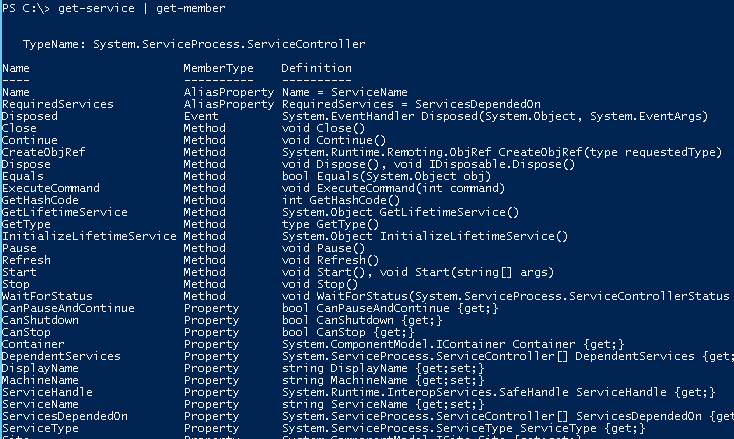 You can get all the properties of the service object using the Get-Member. As you can see, these objects have the Typename – System.ServiceProcess.ServiceController. 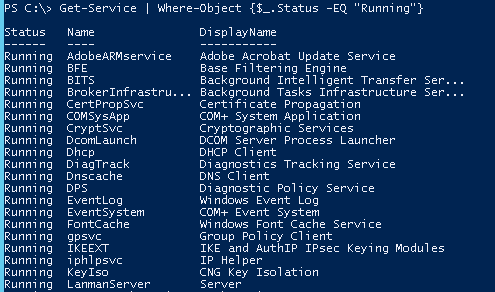 The screenshot shows all the available properties and methods of service objects in the system (most of them are not used when displaying by default). You can use the Get-Service cmdlet to get the status of services not only on the local, but also on remote computers. To do this, use the –ComputerName argument. Connection to remote computers is established not through PowerShell Remoting (WinRM), but through Service Manager (similar to the sc.exe command). In PowerShell v3 you can get the status of the service on multiple remote computers at once, their names must be separated by commas. Use the format-table cmdlet in this example to get a more convenient table with the list of the services status. 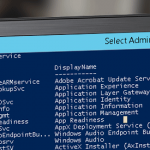 The Get-Service cmdlet has two other useful parameters that you can use when managing Windows services. The DependentServices parameter returns services that depend on this service. The RequiredServices parameter returns the services on which this service depends. The following command receives the services required by the LanmanWorkstation service. The next command returns dependent services that require the LanmanWorkstation service. you uploaded great artice , I wondered after reading your article , so much thanks .getting services using powershell is great and very usefull to all windows users. WMI query can show a list of all services in bulk and filter results (such as as started/stopped, service name, description etc). – Start WMI Explorer or any other tool which can run WMI queries.